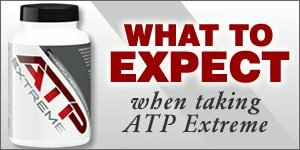 If you are an elite athlete who works out multiple times per day, take 3 capsules 30-60 minutes before your first workout, then take 3 more capsules 6 hours later. On non-training days, take 2 capsules first thing in the morning followed by 2 more capsules approximately 6 hours later. This enhances recovery by increasing blood flow on your off days. For maximum natural vasodilator benefits, we recommend using the product for 90 days as a compliment to a regimented exercise program. Do not take more than 10 muscle building supplement capsules in any 24 hour period. This product is not recommended for anyone under the age of 18 without adult supervision. If you have any health concerns, always consult your physician before starting on any supplement program. If you get any adverse reactions from the product, stop use immediately!